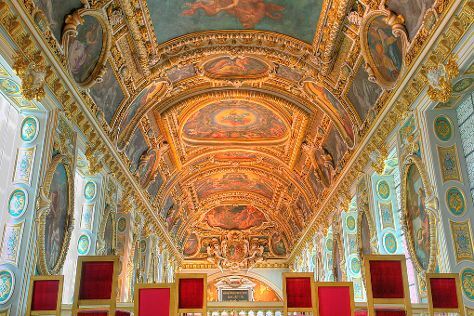 Popular historic sites such as Chateau de Fontainebleau and Latin Quarter are in your itinerary. Explore hidden gems such as Île de la Cité and Trocadero. Explore Paris' surroundings by going to Eglise Sainte-Radegonde de Giverny (in Giverny), Château de La Roche-Guyon (in La Roche-Guyon) and Domaine of Villarceaux (in Chaussy). The adventure continues: wander the streets of Saint Germain des Pres Quarter, explore the historical opulence of Chateau de Pierrefonds, and head off the coast to Ile Saint-Louis. For photos, ratings, and more tourist information, use the Paris sightseeing planner. If you are flying in from United States, the closest major airports are Paris-Orly Airport, Charles de Gaulle International Airport and Paris Beauvais Tillé Airport. In April, daytime highs in Paris are 61°F, while nighttime lows are 43°F. Wrap up your sightseeing on the 1st (Mon) to allow time to travel back home.